CNET UK has tested a compact camera with a superzoom lens that starts at 25mm and ends at 250mm. 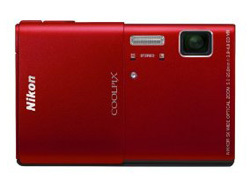 The camera is called Nikon Coolpix S6200 and also comes with 16 megapixels in addition to HD video recording. CNET UK ends up giving the S6200 an overall rating of 4 out of 5 possible stars. The reviewer finds several positive sides including good image detail, the colors is good, the zoom range is useful and it has a pretty low price tag. There are a few negative points keeping the Nikon camera from getting a perfect score including you can not get very close while taking macro pictures and there is some mechanical noise while recording video. Read the full review of the Nikon Coolpix S6200 ultra-compact superzoom digital camera here. Photography Blog has tested a new interesting digital camera from Nikon called Nikon Coolpix S100. The S100 comes with a huge touchscreen of high quality along with full HD video and 16 megapixels which should satisfy most photographers. Photography Blog ends up giving the S100 a “Highly Recommended” rating and an overall score of 4.5 stars out of 5 possible. The Nikon camera scores highest on features and ease of use where it gets a perfect score, and a little lower on value for your money, image quality and design. If you are looking for a camera with touchscreen capabilities and is able to capture pictures of high quality this camera from Nikon might be your choice! 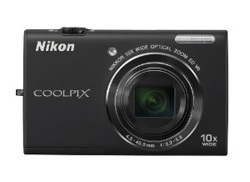 Read the full review of the Nikon Coolpix S100 digital camera with OLED touchscreen here. Nikon has announced a new rugged camera with some impressive specifications. The digital camera is called Nikon AW100 and comes with 16 megapixels in addition to being able to do HD movies it is able to take photos under water and is shockproof. The Nikon AW100 will be available in September 2011 and cost about $380. 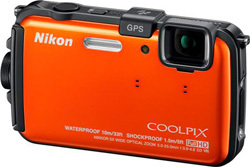 MELVILLE, N.Y. (August 24, 2011) — Today, Nikon Inc. announced the new COOLPIX AW100, a camera that can stand up to the rigorous expectations of those with an appetite for adventure who demand incredible image quality within a strong, durable body. The waterproof, freeze proof and shockproof COOLPIX AW100 is forged with features for adventure seekers who need amazing image quality and Full High Definition (HD) movie recording to keep pace with their active lifestyle. Nikon, At the Heart of the Image™. Nikon Inc. is the world leader in digital imaging, precision optics and photo imaging technology and is globally recognized for setting new standards in product design and performance for its award-winning consumer and professional photographic equipment. Nikon Inc. distributes consumer and professional digital SLR cameras, NIKKOR optics, Speedlights and system accessories; Nikon COOLPIX® compact digital cameras; 35mm film SLR cameras; Nikon software products and Nikon sports and recreational optics. In 2011, production of NIKKOR lenses surpassed 60 million, creating a new milestone in Nikon’s heritage of superior optics. For more information, dial (800) NIKON-US or visit http://www.nikonusa.com, which links all levels of photographers to the Web’s most comprehensive photo learning and sharing communities. Connect with Nikon and other photographers on Facebook at http://www.facebook.com/nikon and get the latest news and information from Twitter by following @Nikon_USA. Photography Blog has reviewed a macro lens from Nikon. The lens is called Nikon AF-S DX Micro-Nikkor 85mm f/3.5G ED VR and comes with Nikon Silent Wave Motor (SWM) in addition to having a relatively low price tag. 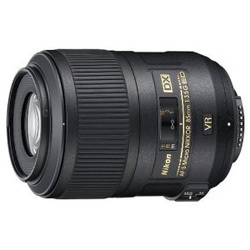 The Nikon lens is designed for their DX-format and gives you a 1:1 reproduction ratio. Photography Blog ends up giving the Nikkor 85mm f/3.5G lens a “Recommended” rating with an overall rating of 4 out of 5 possible stars. The Nikon lens scores highest on design and ease of use where it gets a perfect a score, a little lower on features and value for your money and lowest on image quality. This Nikon macro lens is lightweight and has a compact design that is useful when walking around. The pictures from this lens is good, but the sharpness could been better. Read the full review of the Nikon AF-S DX Micro-Nikkor 85mm f/3.5G ED VR lens here.